Pre-workouts can help to boost your stamina and endurance. Taking a pre-workout can help to progress your workouts, lift heavier and do more reps.
We are trying to find the best pre-workout supplement 2019. We are testing and reviewing the best pre-workouts to find the best. We have 3 different reviewers trying Dr Jekyll Intense Focus pre-workout, fruit punch flavour. 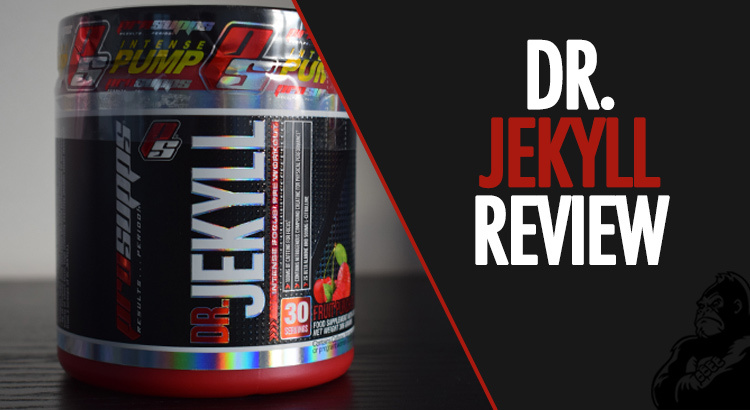 We hope that with 3 different reviewers we can create a trustworthy Dr Jekyll review. Dr Jekyll Pre-Workout can be supplemented with Mr Hyde or on its own, they say to do half a scoop of each, to begin with. Check out of Mr Hyde pre-workout review here. Dr Jekyll claims to give you intense focus, concentration and alertness. It is a low stimulant and they say you can use or daytime or night time and still sleep. 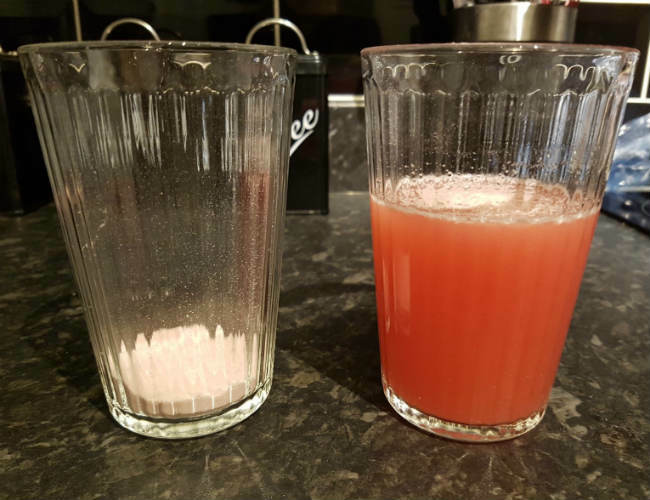 Let’s find out if this low stimulant pre workout (PWO), Dr Jekyll, delivers anything impressive in this honest Dr Jekyll pre-workout review. Our review will consist of three combined reviews from independent testers here at Tubby Gorilla. What I mean by that is, we’ve not been paid by Pro Supps for this review, so were going to be honest and unbiased. If you’ve checked out our top pre-workouts post you might notice a slightly different score. This review is just our TG review, whereas the top 10 post includes reviews from external users and gym goers all around the world. I have to be honest and say that I wasn’t in the best condition when testing the Dr Jekyll pre workout. I didn’t sleep very well at all the night before so felt very drained and lethargic going into my workout. However, I went to the gym, trained (and trained hard) and the Dr Jekyll was very effective. I’m even giving it credit for getting me to the gym in the first place! Dr Jekyll contains a lower amount of caffeine than most of the other pre-workouts – 100mg of caffeine compared to 400mg in Mr Hyde and 160mg in Cellucor C4 (which is widely considered to be one of the best low-caffeine pre-workouts). I definitely felt the difference in energy levels after taking it and noticed I was focused when working out, but it was very subtle and didn’t have the impact that other pre-workouts that I’ve written reviews for have had, but with the lower caffeine levels that’s to be expected. “I would go as far as saying that this is possibly the best pre-workout for beginners” – Jordan, male reviewer. 5’8″, 155lbs. I think the Dr Jekyll is a really good PWO, and I love the fact that it contains less caffeine than plenty of the others. I can take this before an evening workout and not be up all night, buzzing, while trying to get to sleep. This is a great pre-workout for beginners, it really is up there. We were torn between giving Dr Jekyll a 3.5/5 or 4/5, I think if we hadn’t tested some stronger ones first, it would’ve scored higher, but we’ve felt the more dramatic effects of the more powerful pre-workouts. The balance of caffeine, beta-alanine and creatine is perfect for giving you a noticeable energy boost, added focus and ease you back to normality without a huge crash. However because of this, it isn’t as strong or effective as some of the others we’ve tested, but I would buy it and keep some for a late workout or if I’m ever trying to cut my caffeine intake. Dr Jekyll, for me, gave me a subtle energy boost. I quite liked being relaxed but still having the energy to continue my workout. The subtle energy boost was still there for around an hour after my workout, it felt as though I had a really good nights sleep and was completely refreshed, which considering I was running on a low amount of sleep was a very welcome feeling! After taking Dr Jekyll, I had a pretty good workout. I wasn’t really in the mood to workout but my attitude changed as soon as I got into the gym. When it comes to being focused, I would say again it was subtle. I had my goals and I was working towards them. I tried different things in the gym and was motivated. Aside from a pump, what more could you want from a pre-workout? “Dr Jekyll gave me good strength and helped me to reach my personal best when lifting during a chest workout. The taste was okay, but the mixability of it would put me off buying as it was lumpy” – Luke, male reviewer. 5’11”, 164lbs. When it comes to being focused, I would say again it was subtle. I had my goals and I was working towards them. I tried different things in the gym and was motivated. We’ve just touched on this with the quote above, but the taste and texture of the Dr Jekyll pre workout isn’t great. The taste is okay, it’s not horrible but this pre-workout would just not mix, after vigorously stirring it I was still left with a lot of residue. 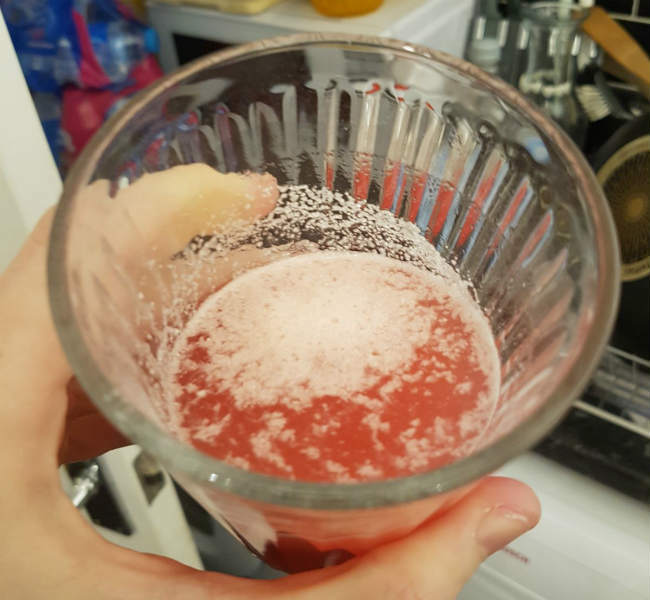 As you can see from the picture below, there was a lot of residue floating at the top of the drink and a fair bit at the bottom too. I tried mixing throughout drinking this but I didn’t have any luck, so I just got it down me. The residue affected the texture of this, it definitely wasn’t smooth. Unlike the texture, the taste of the fruit punch flavoured Dr Jekyll wasn’t bad, it was quite nice to begin with. After a few mouthfuls, it got a bit strong and sickly but it reminded me or sherbet or something bad for my teeth from my childhood. It was drinkable and that’s all that counts, I guess. I’ve definitely had worse tasting pre-workouts, but Pro Supps, if you see this, less lumps please! Did we mention the lumps? I felt a very slight tingle in my left palm during my warm-up. It didn’t affect my workout at all and disappeared after around a minute or so. That would have been the beta-alanine – it causes a temporary tingling feeling. Aside from that, there was no other sign of side effects that are common amongst pre-workout users such as itchiness, tingling all over and feeling heat in different parts of your body. The way I, personally, would describe this Dr Jekyll is as a starter pre-workout, for those who have never used a pre-workout before. I think this would allow your body to get used to the ingredients in most pre-workouts without shocking the body. We all agreed that it provides you with a good energy boost, which was more intense for each of us, and provides you with added mental focus throughout your workout. However after testing some of the more powerful pre-workouts, we could definitely tell the difference between Dr Jekyll and the stronger options. As we mentioned, this is an ideal pre-workout for beginners which we would definitely recommend. It’s also ideal as an evening pre-workout or a lower-caffeine option. Check out Dr Jeyll on Amazon.